Once again, I am enjoying the many flavors of fall! Don't you just love all the flavors of fall!!? 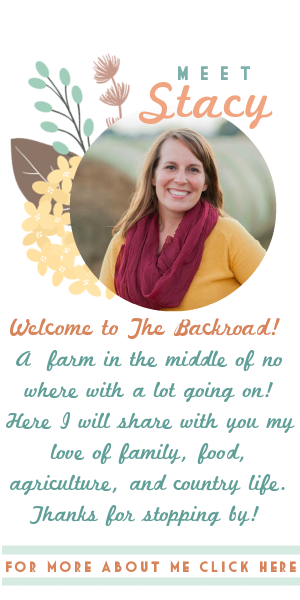 Fall time is when we harvest some of my favorite vegetables! Sweet potatoes! I love them prepared so many ways! 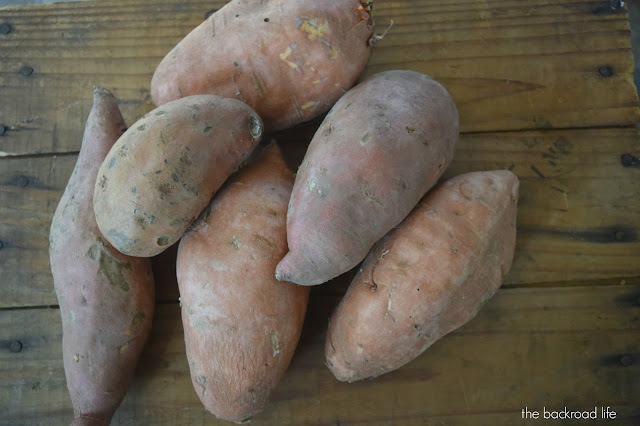 From sweet recipes to savory recipes, sweet potatoes are delicious so many ways. 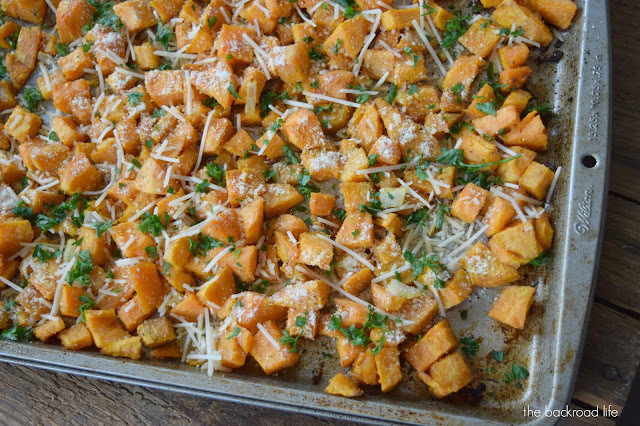 Definitely as a favorite with this Garlic Parmesan Roasted Sweet Potato recipe. This recipe with the garlic and Parmesan brings in some savory flavors to blend with the sweet potato sweetness. It's an easy side dish packed full of flavors. Fall is when sweet potatoes are dug in the garden. It's always nice to use fresh produce that we have grown to prepare different recipes and enjoy! 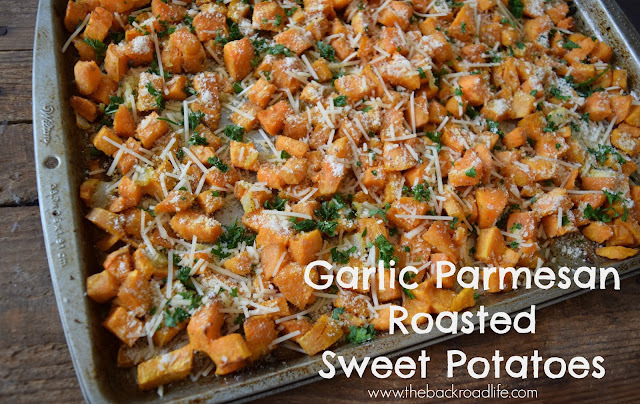 These Garlic and Parmesan roasted sweet potatoes are well liked in our house and are a great side dish paired with any meal. Especially in the fall season, when we mostly think of having sweet potatoes. Preheat oven to 400 degrees F. Peel and cube the sweet potatoes (you can leave the skin on if you prefer). Chop the onion. Place the onion and cubed sweet potatoes in a bowl. Add the olive oil, pepper, and garlic powder to the bowl and mix coating the onion and sweet potatoes well. Spread the mixture onto a baking sheet and bake in the preheated oven for 30 to 35 minutes. 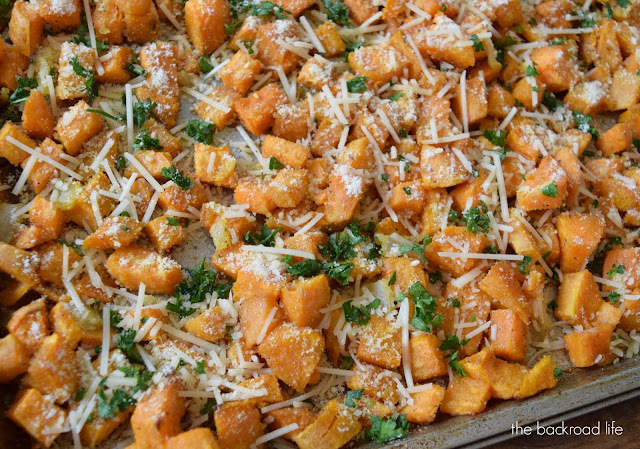 Remove from oven and sprinkle with grated Parmesan cheese, shredded Parmesan cheese, and chopped parsley. Serve warm. Be sure to give these Garlic Parmesan Roasted Sweet Potatoes a try as a side dish this fall! 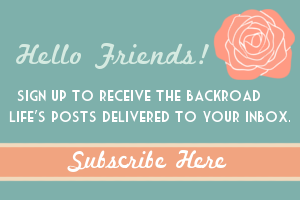 Add them to your Thanksgiving feast!